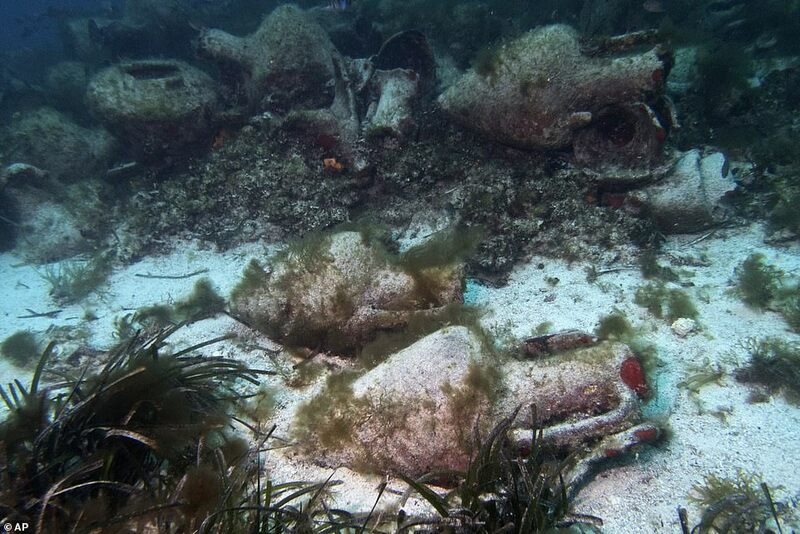 The remains of a 5th Century cargoship has become the first ancient shipwreck in Greece to be opened up to the public. 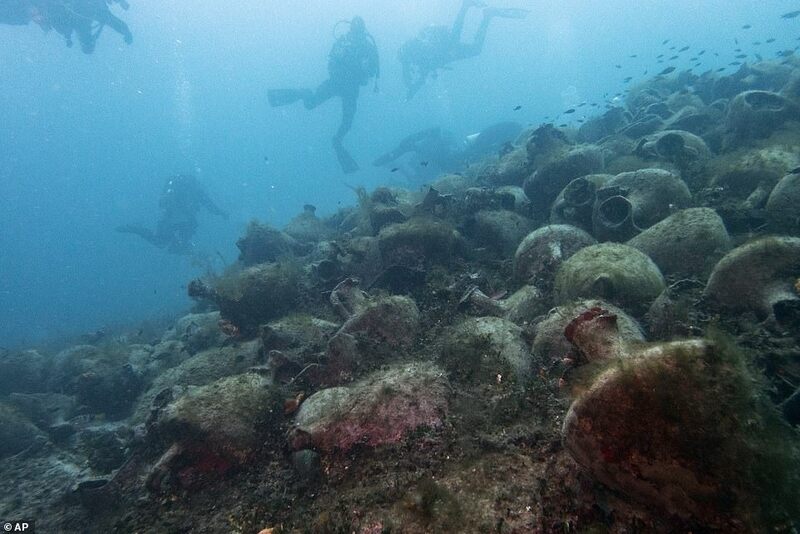 It lies near the northern Greek island of Alonissos and was laden with an estimated 4,000 vases, thought to have contained wine, when it sank. 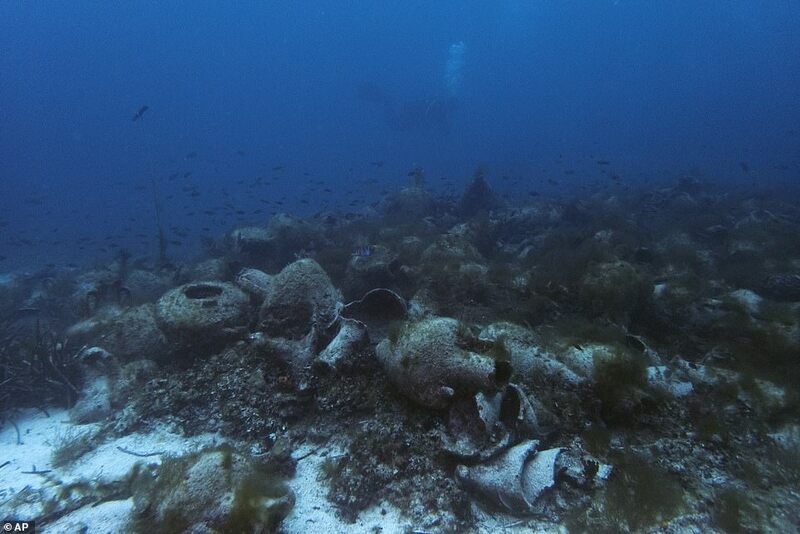 All that survives is the cargo, which lie on the seabed in a remarkably intact state. 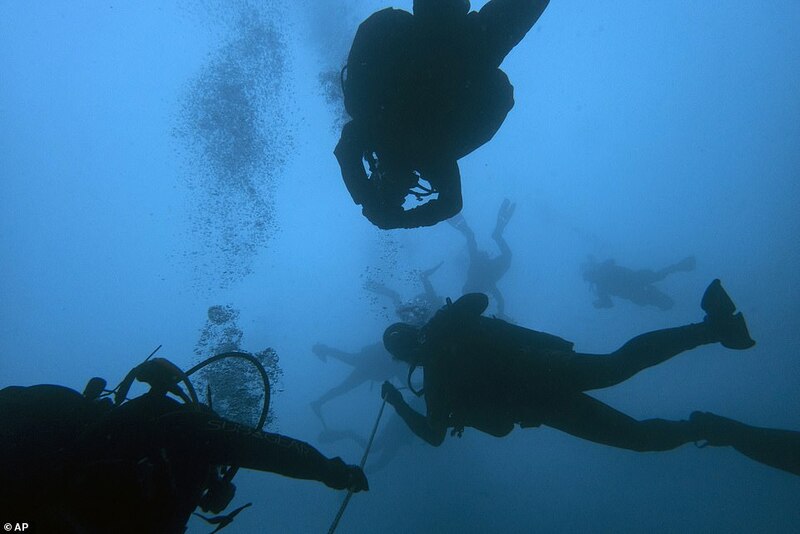 It is to become the first ancient shipwreck to be made accessible to recreational divers. 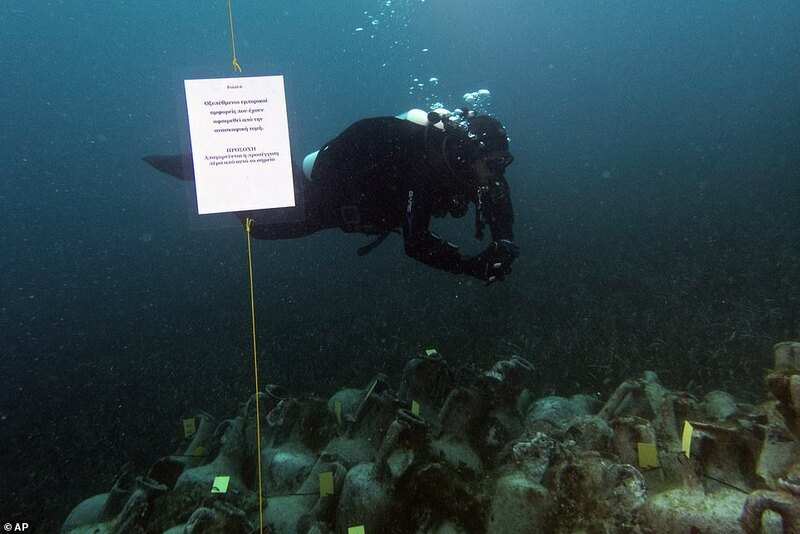 Previously the site and much of Greece’s rich underwater heritage had only been accessible to a select few, mainly archaeologists. The site still holds mysteries as only a small part of it has been excavated. Experts have yet to determine how or why it sank, or what other treasures it might have carried in its hold. ‘It is very impressive. 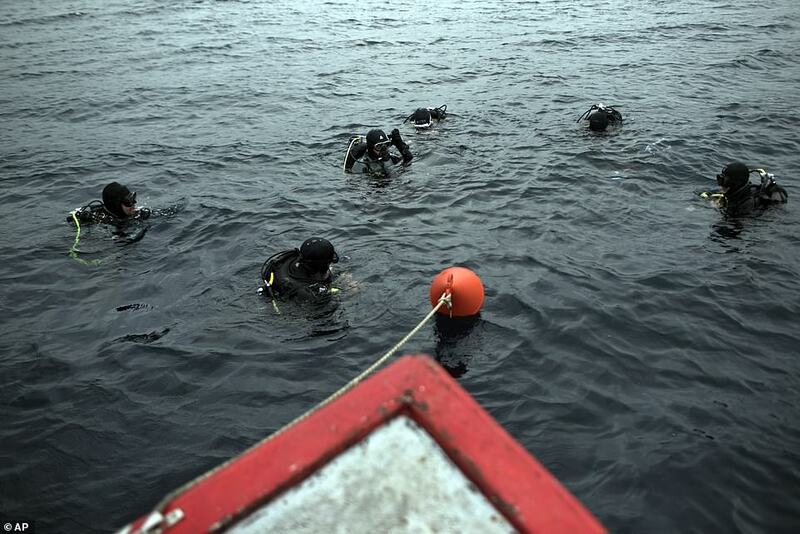 Even I, who have been working for years in underwater archaeology, the first time I dived on this wreck I was truly impressed,’ said Dimitris Kourkoumelis, the lead archaeologist on the project preparing the site for visitors. 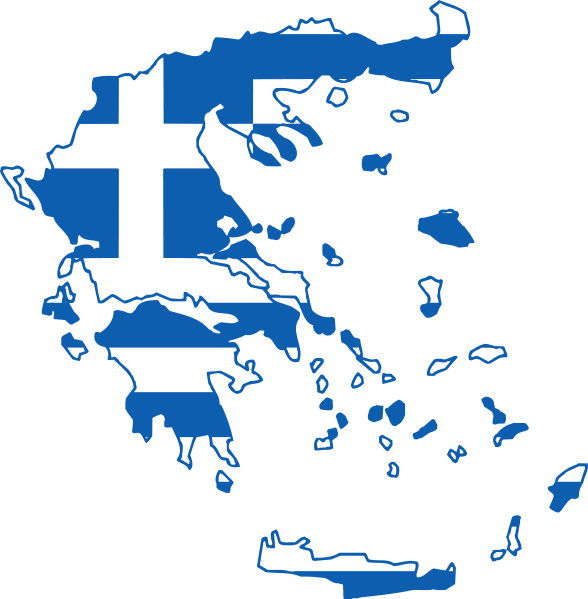 Scuba diving was banned in Greece throughout the country except in a few specific locations until 2005. 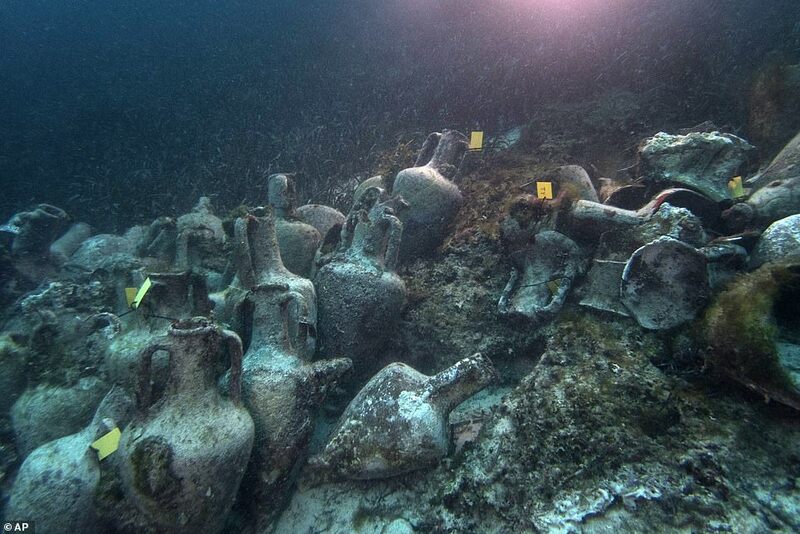 It was banned due to fears that divers might loot the countless antiquities that still lie scattered on the country’s seabed. Access to the shipwreck is also being asssited through a new project to create underwater museums. Divers will be able to tour the shipwreck and non-divers will experience the sites through virtual reality in information centers on land. 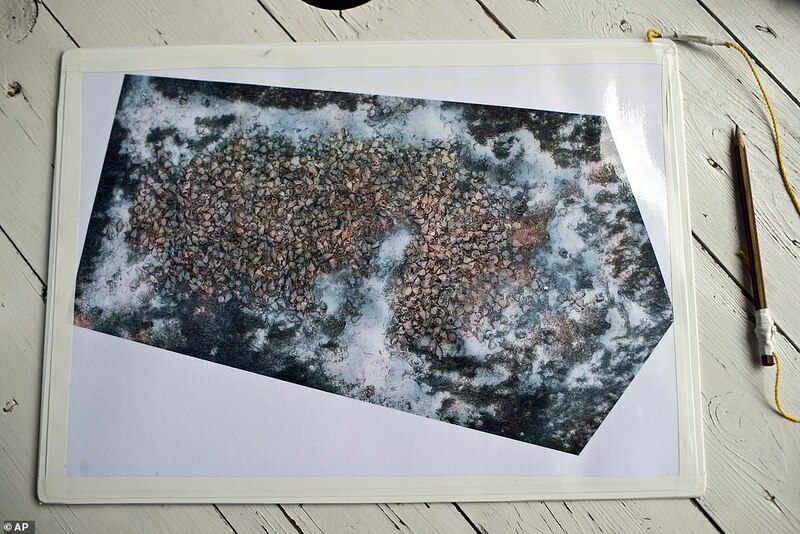 The Peristera shipwreck is the first of several sites to be examined as part of the project. ‘Was it a piracy act? Was it overloaded?’ said Elpida Hadjidaki, the first archaeologist to excavate the site. These questions remain unanswered. 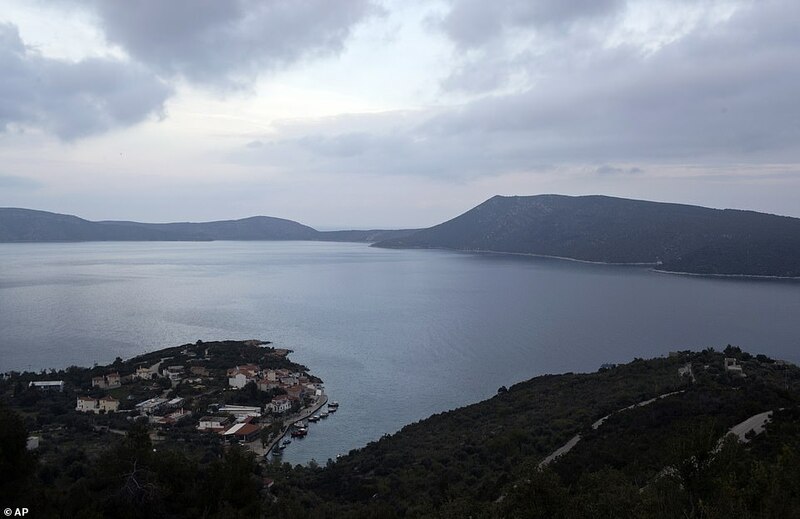 ‘Accessible archaeological sites are one of the most interesting projects – not just a Greek project but a worldwide project,’ said Kourkoumelis, who noted it has taken a long time to get to the point of allowing visitors to access an ancient wreck. ‘It took years. And that’s logical, because underwater ancient sites and particularly ancient shipwrecks are exposed … and fragile,’ he said, noting it was crucial to properly set up the project and the dive conditions, making sure the sites are protected before they can be opened to the public. ‘All the conditions must be ensured so that these sites remain safe in the future and for future generations,’ he added. The Peristera shipwreck is named after the uninhabited Greek island opposite Alonissos where it was discovered in the early 1990s.